Have an awesome party to attend but cannot decide the place to shop? 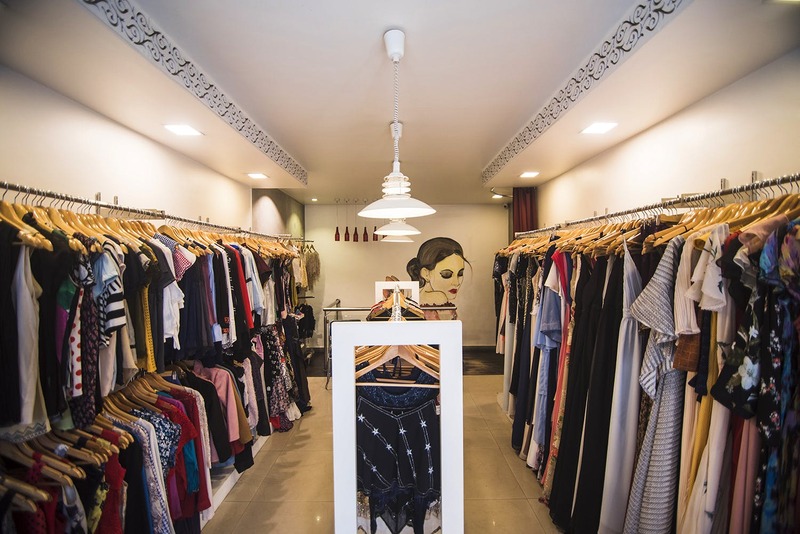 Make a stop at Bella in Koregaon Park which will help you up your bling game. Firstly, when you are on North Main Road in KP, this gorgeous boutique with classy interiors and stylish board will attract your attention. As soon as we entered the store, we were awed by the fancy collection of party-wear that they housed. We found elegant evening and party-wear starting at INR 1000 in pastel and tulle champagne shades. If you are looking for a sequined outfit, this is undoubtedly the best store to visit. If you have a slightly more budget, you can further check-out their exclusive party collection. Right from mermaid-cut gowns to ball-dresses, cocktail short dresses to sequined tops, name any clothing for party-wear and they would have it. Add elegance to your looks with beautiful gowns starting at INR 1500. We absolutely love them for their bling, class and stitching. If you are looking for something short and cute, there is no dearth of pretty dresses and short jumpsuits. You can also ditch the dresses and pair up your fancy crop tops with cute skirts and add jackets. This winter, if you are willing to shell out a little more, you can up your style with smart leather jackets that are available in dark colours. Right from ruffles to plaid strips, cute prints to shimmery works, their top collection is sure to please all the fashionistas. We want them to add more of palazzos, culottes and fancy bottoms in their collection.